Lorde says making her new album is "exciting and scary". The 18-year-old star has teased details of her highly-anticipated second record - following on from 2013's 'Pure Heroine' - explaining she took some time off from making music but is now hard at work on her next collection. Writing on her Tumblr blog, she said: "i took a few months off at the beginning of this year, which was so great - i did a bunch of swimming and driving around and being salty - and now i'm just getting into making the next body of work, which is very exciting and scary but SO VALIDATING (sic)." The 'Royals' singer went on to say she has been inspired by Swedish pop star Robyn while making the record, as she believes her track 'Dancing On My Own' would be the one song she would choose to "send into space, to live on forever". She said: "this song, to me, is perfect. it's happy and sad, fiery and independent but vulnerable and small, joyous even when a heart is breaking. (sic)"
And the chart-topping star said after listening to the 2010 single, she realised she will never stop making music. She continued: "i realized i'm going to be in love with music for the rest of my life. it's going to be the most important friendship i'll ever have. i'll never, ever leave it alone, because you can't leave alone something like that (sic)." 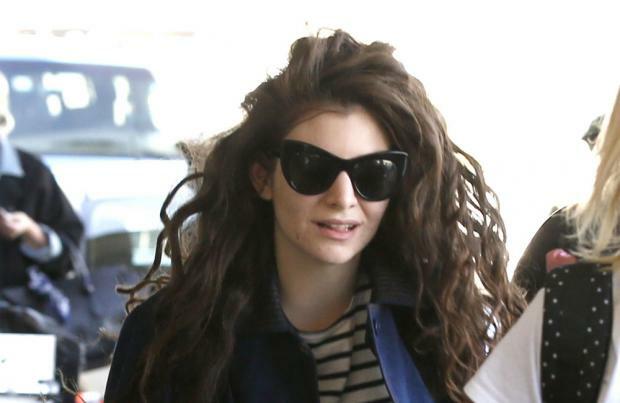 Adding further details about the record, Lorde - whose real name is Ella Yelich-O'Connor - said she feels much "calmer" in the studio this time around, and is in no rush to finish the LP. She wrote: "i feel much calmer, more comfortable in my love of doing this, and its apparent love of me, this time around. so there's that. "know that i'm taking my time to make the new stuff as good as i can. know that music is still making my heart skip every day. (sic)"